Nick Furfaro was a young man who loved the outdoors. He was a cherished member of the Pack Paddle Ski community, and we are honored to have watched him grow to be an experienced outdoorsman and a kindhearted philanthropist. Rick has many fond memories of adventures with Nick, and we were happy to support his efforts to raise money for the secondary education of a student at the Bulati School in Tanzania. Sadly, Nick unexpectedly passed away in January, 2014 at the age of 22. In celebration of his life in the outdoors, a fund has been established in Nick's memory. It will be awarded as a scholarship to a young man or woman who is working to raise money for the opportunity to have an outdoor experience as a means to explore the world and achieve personal growth. In this way, Nick's spirit can continue! This year the scholarship will be given to sponsor the 2019 school year for Helen, a young woman attending Lake Eyasi Girls Vocational Training Center in Tanzania as part of the Lake Eyasi Women's Projects. An annual golf tournament and fundraising dinner are held in support of the scholarship. Saturday, May 18th, 2019 in Memory of Nick to benefit Life Matters. See the event flyer here. For tickets or hole sponsorship, please call Julie and Ray Egan at (585) 298-1591. 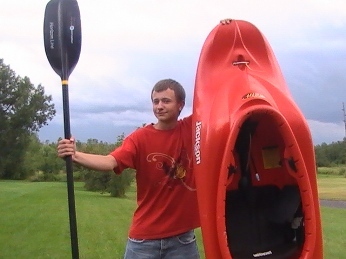 You can also send a check payable to Pack Paddle Ski with "Nick's Fund" designated in the memo line.